Unlike the other co-founder Sachin Bansal who cashed out his stake, Binny Bansal has made his intentions clear by indicating he will hold on to minority stake in the company. 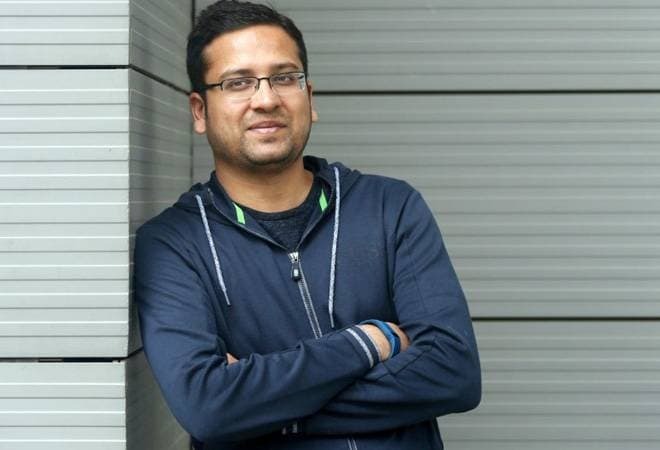 After Binny Bansal's sudden exit as CEO of Flipkart , a company he co-founded with Sachin Bansal in 2007, the recently altered Articles Of Association of the company has come to his rescue to secure his position in the board. According to documents sourced by private company signals platform Paper VC, the new constitution (Memorandum and Articles of Association) of Singapore-incorporated Flipkart Private Limited was adopted following a special resolution with effect from 25th September 2018. According to the filings, Binny Bansal can remain a director as long he satisfies the 'minimum ownership threshold'. The Constitution stipulates that till he owns at least 3,532,977 ordinary shares in the company, Binny Bansal will have the right to remain as a director. Only if there is any dilution by Binny below the number as per the regulation, Walmart gets to appoint another independent director on the board. Currently according to the regulation in the constitution, the company can have up to 9 directors, initially consisting of founder directors (Binny Bansal); Walmart appointed directors and key minority nominee directors. While Walmart has initially the right to, remove, replace its share of independent directors for a term of 2 years, it can be only after consultation with the founder (Binny) so long as he fulfils the minimum threshold criteria. Currently Lee Fixal is one such independent director on the board. Soon after his resignation, Binny Bansal in his email to employees said, "I will continue to be a large shareholder in the company and will continue to serve as a member of the Board of Directors" . Clearly, unlike the other co-founder Sachin Bansal who cashed out his stake, Binny Bansal has made his intentions clear by indicating he will hold on to minority stake in the company. So, to the question if Walmart can still find a way to remove Binny, legal experts say that there is very little the company can do. A senior advocate who did not wish to be identified due to professional relationship with Flipkart said, "If he is not an employee and just exercising his right as a shareholder then there is very limited option before the majority shareholder". He added that employment and directorship are two different issues altogether: "In case of senior employees, where there is a case of sexual misconduct, they will be generally asked to leave the company ,which seems to have been the case here. Directorship is altogether a different issue, it's not related to employment but shareholding".